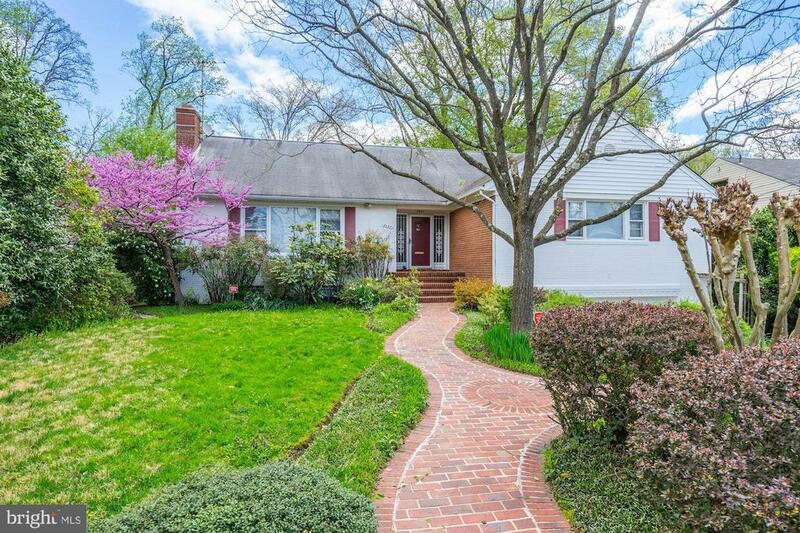 Welcome home to this spacious 1950 rambler with 3300 finished square feet of living space on a desirable lot (almost 9, 000 square feet) steps to Rock Creek Park! Step inside the entry foyer with large coat closet to find the spacious living room with fireplace, dining room, kitchen with island and rear family room with 2nd fireplace walls of glass overlooking the fenced backyard and deck. There are 3 good sized bedrooms and 2 full baths on the main level plus fixed steps from the hall to a large storage attic. The walk out lower level contains the recreation room, 4th bedroom, half bath, laundry, enormous storage area and door to the 2 car garage.